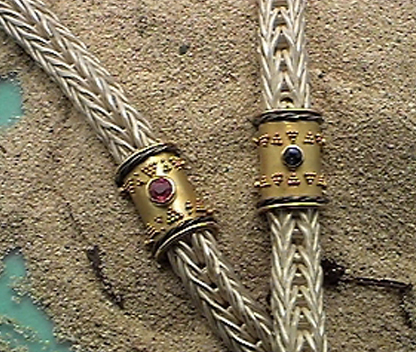 Etruscan Granulation bracelets - "Maglia romana"
Bracelets “Maglia Romana” in 925 sterling silver, with inserts in 18 kt. 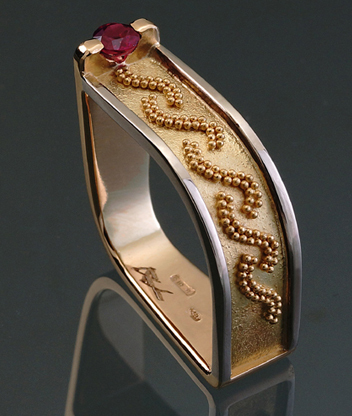 gold, made with Etruscan granulation technique; precious stones, rubies or sapphire. For more informations on this model or for requesting a quoting please fill out the form below. 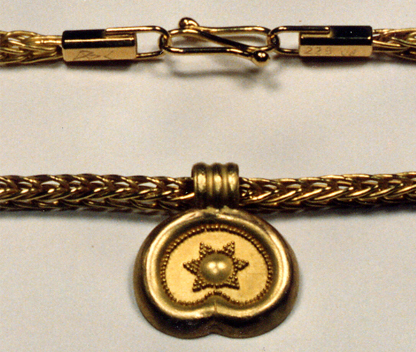 The Etruscan granulation technique consists in joining small beads made from a thin lamina following a specific design or a predetermined pattern. 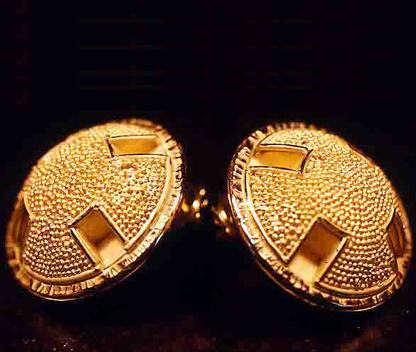 The technique dates back in time, with jewels showing this peculiar handcraft dated second millennium BC. 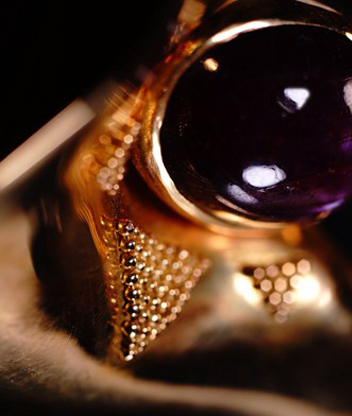 In Etruria this technique reached its apex, where some of the the most beautiful jewels of ancient history had been created. Etruscan became able to create objects with granules so thin that we can almost define dust, with a diameter of 0.01 cm.